Made by Jose Neiva Correia (winemaker), Paxis Red Blend wine comes from DFJ Vinhos in the Lisboa region of Portugal. 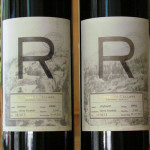 It’s a blend of 34% Touriga Nacional, 33% Touriga Franca and 33% Tinta Roriz. Definitely a blend of varietals I haven’t experienced before. The story behind the name of this wine is interesting. One day, Dino Ventura (sales and marketing) saw children playing a very traditional and physical UK game called Bulldog in school. During the game he heard children calling out “Paxis!” as a way to express immunity from being caught. He then related the word to “escape from the stress of the world where we could appreciate a great wine” and Paxis “Bulldog” was coined. The bulldog certainly looks relaxed on the bottle label! I found the vintage very interesting as this wine was found on the store shelves in late 2018. So, that may explain easily finding a 2013 vintage five years later. 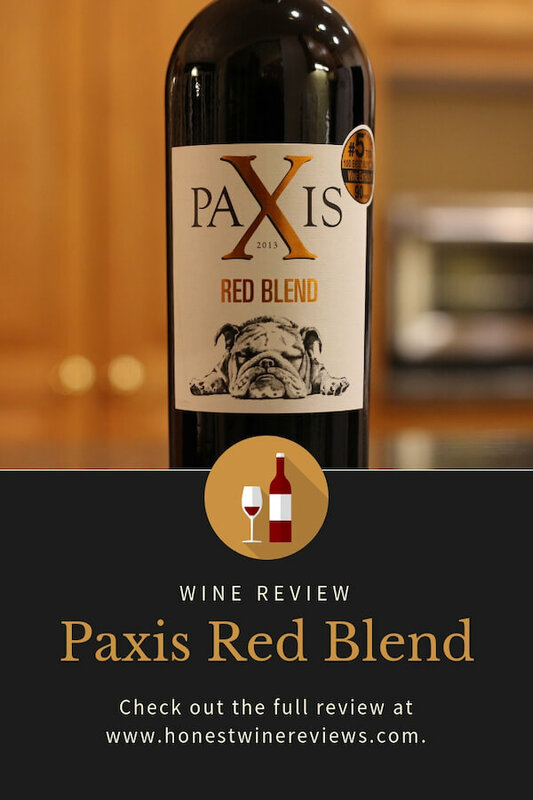 Paxis Red Blend opens with a twist top and in the glass it’s cherry in color. It’s not overly dark. It reminded me of a Pinot Noir in terms of its translucency and color. While it is leggy, the legs are very slow to fall and widespread. I found Paxis Red blend to be very aromatic and noticeable from a distance when poured. On the nose I discovered hints of raspberry, black cherry and spice, with no significant sting of alcohol in the aroma. Paxis Red Blend alcohol content 12.5% by volume, per the bottle. Very refined at the outset, it gives you a quick flavor attack with no bite at all to it. Very smooth! 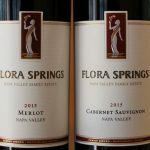 Enjoyable, rich flavors of Bing cherry and raspberry prevail. To me the wine’s mouthfeel was juicy with supple tannins that definitely do not linger. 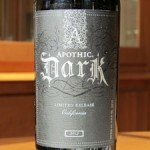 I’ve seen other reviews that call Paxis Red Blend “chalky”, but I didn’t experience that at all. 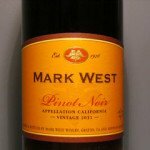 Its finish was the wine’s most surprising feature to me. Just about every blend I’ve had (especially the reds) presents a long finish. This wine, however, had a medium finish. I would even go so far to say that as a red blend it has a short finish. Not a problem by any means. 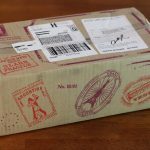 Perhaps even a pleasant surprise! 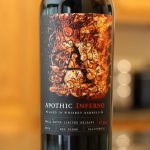 Overall, I’d call Paxis Red Blend a “quick hitter” in that it’s all about the concentrated flavor at the beginning of the tasting experience. I enjoyed the wine’s aroma, taste and mouthfeel as well. 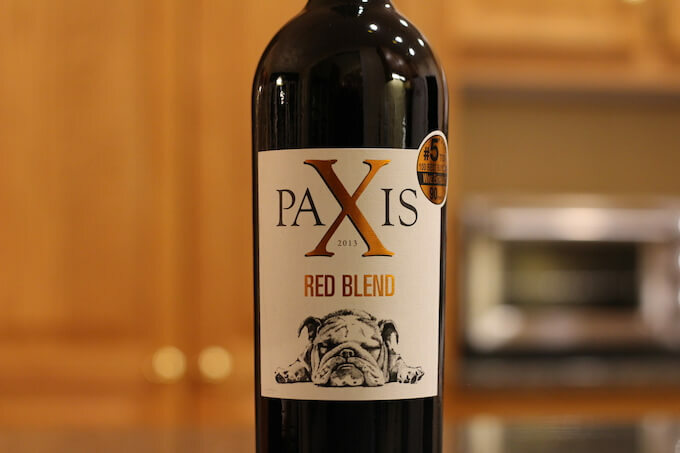 Given this wine’s price, Paxis Red Blend “Bulldog” gets a recommend from me. Even if it was over $10, I’d still feel the same way as it’s very drinkable! Paxis Red Blend price $8.99. To keep this one in mind when you go to the store, just remember “Paxis from Portugal.” At least that’s how I’m going to remember it! More and more wines these days are coming out with their own signature food pairings. Paxis recommends pairing this wine with fried tuna in a light confiture, a dish that includes tuna with bay leaves, garlic cloves, pepper corns and chilli peppers. 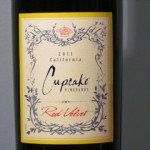 While this wine is quite sippable on its own, their pairing sounds tasty to me!